This beautiful joint at the Indian Habitat Centre, Indirapuram is making news with its fun approach towards dining. The sporty and quirky colourful decor makes ambience very lively. 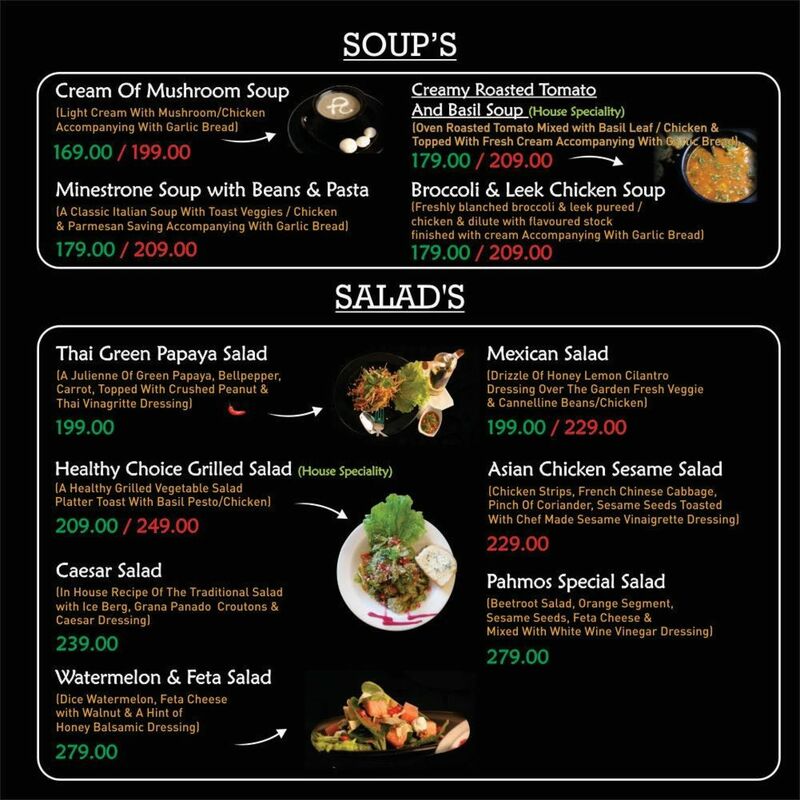 Offering a wide variety of multi-cuisine delicacies, beverages, and desserts. 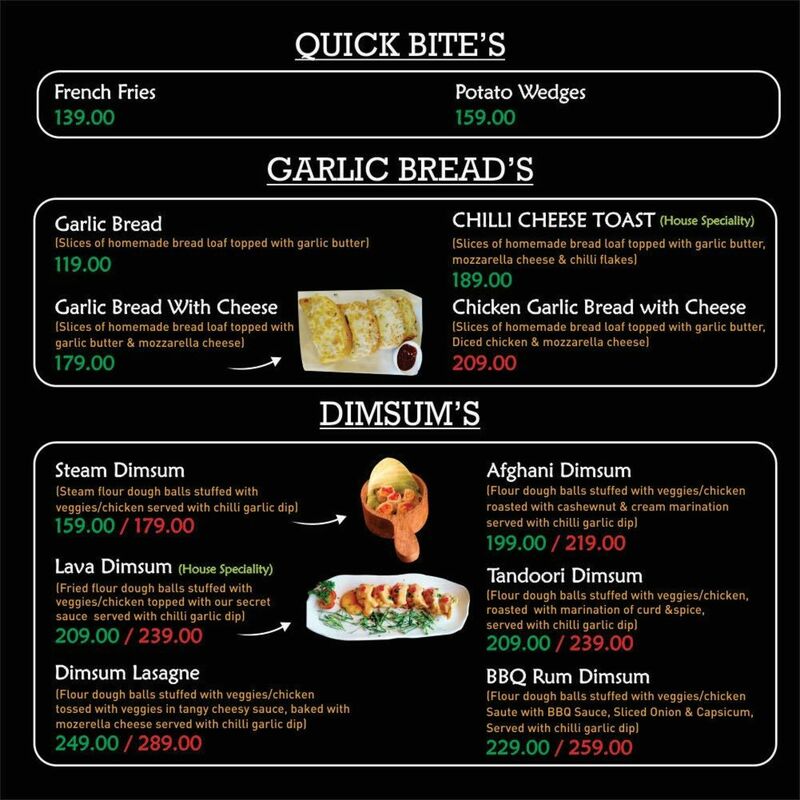 You can try the ‘Broccoli And Leek Soup’ with ‘Phamos Special Salad’ or the ‘BBQ Rum Dimsum’ for starters. 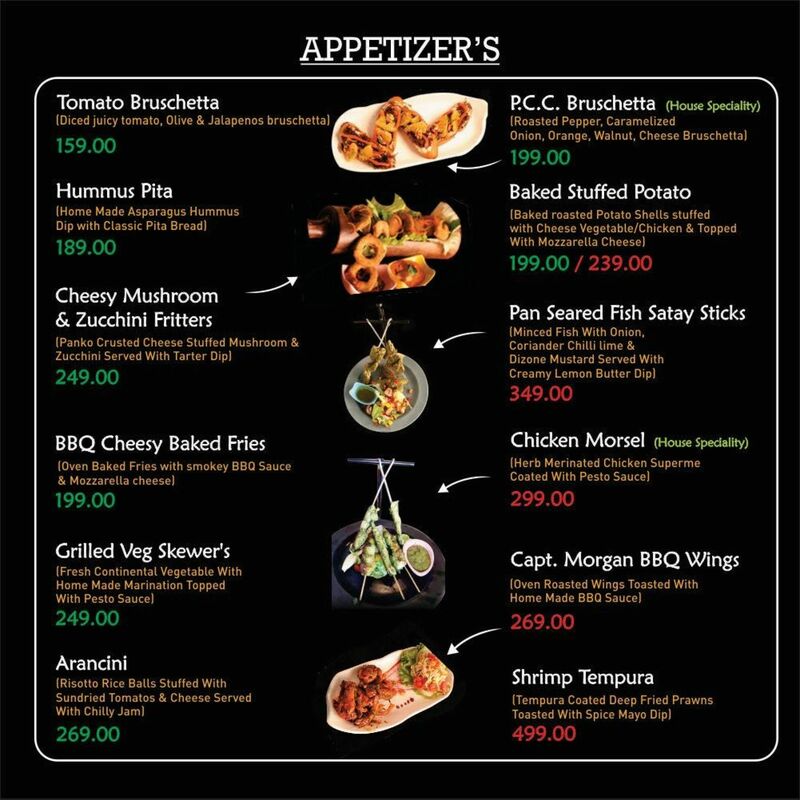 Their ‘Jawbreaker Burger’, ‘Indian Papdi Chaat Tacos’, ‘Thermidor Noodle’ are definitely worth trying. Everything is well-curated, including the service, furnishings, even the menu, and helps in creating a great customer experience. This cafe has a unique interior which I haven't seen anywhere till now. The interior are really good. The food is also good. Chicken breast burgen was really delicious and its worth the price. The pizza was ok ok and the peri peri subwich was really good for a vegan person. We ordered nachos also, it was cheesey but the gravy was lil bit sweet which made them a lil bit unwisely to have and we ordered a shake which was their speciality and it was good not bad, but that was not worth the price. Overall experience was fine. It will cost around 1000 bucks for two person there. 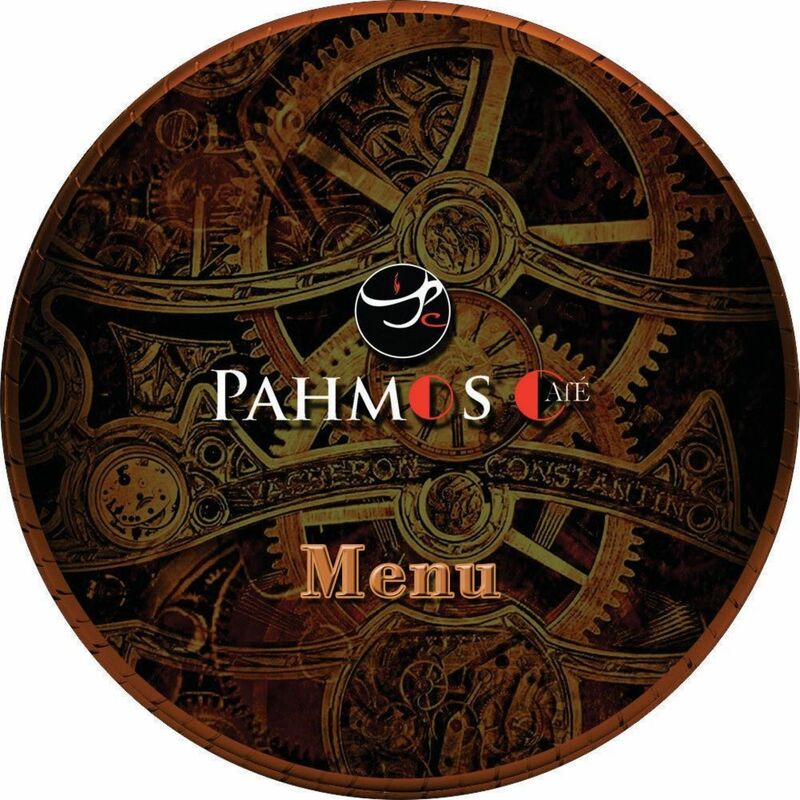 Pahmos is a great place to have some good food. Totally impressed with the interiors and food but the service was very slow. What I tried were:- Captain Morgan bbq chicken wings:- were saucy and delicious. Loved them PCC Bruschetta:- were so yum that I repeated the dish. 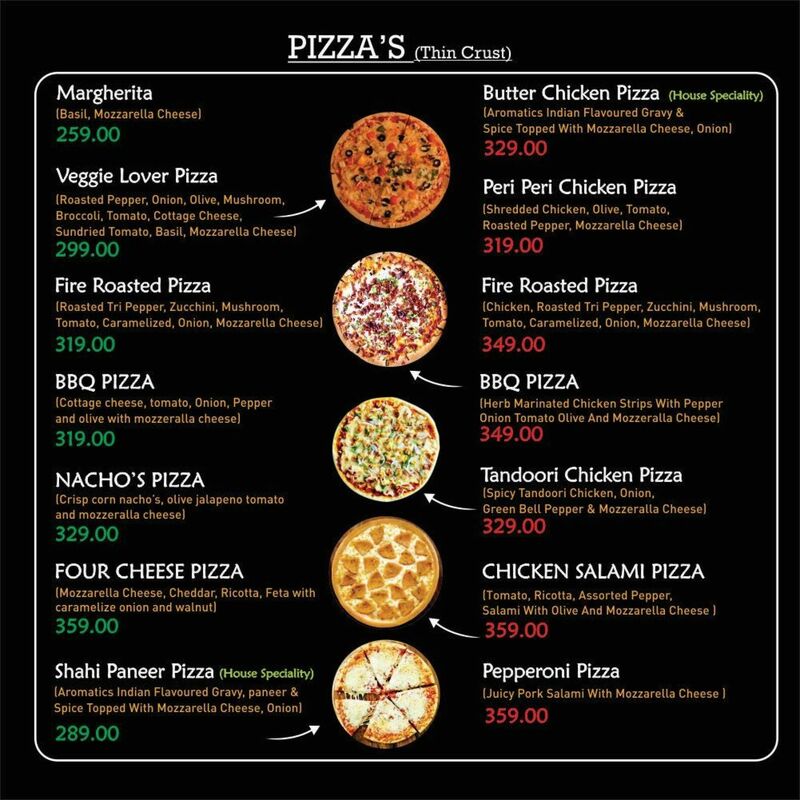 Chicken tikka pizza:- had ample cheese , base was crisp and chicken tikka spicy. Must try. Milli Shocker:- Their speciality drink, was quite good . It was like a virgin mojito with a hint of watermelon. Brownie Sundae:- This one is a must try, brownie was warm and soft and when paired with vanilla ice cream, tasted absolutely delicious. #Overall, a nice experience with some innovative interiors and good food. This outlet is located on the first floor of indrapuram habitat centre. 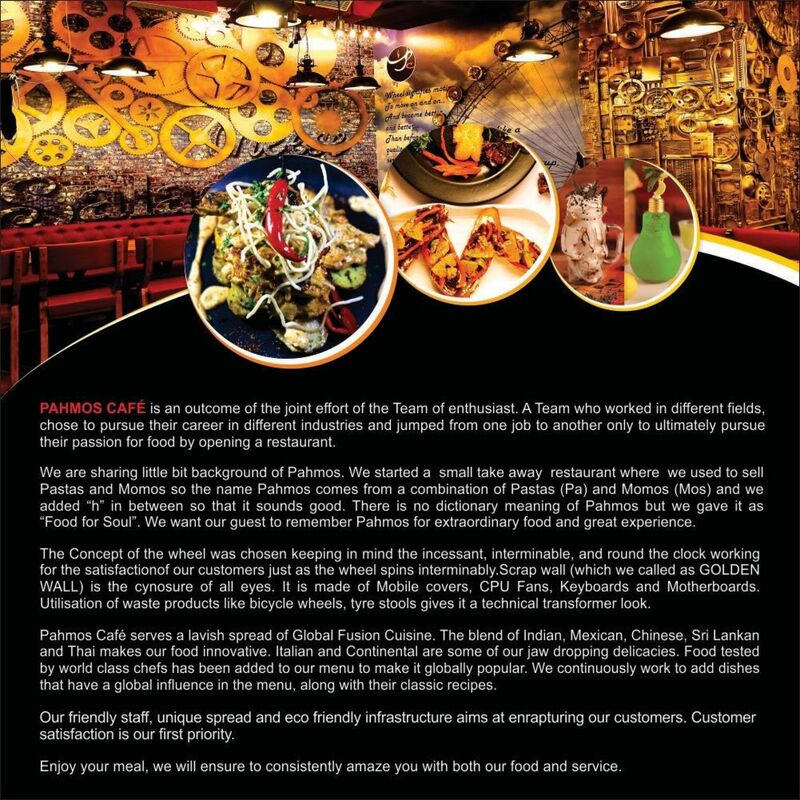 We visited this place two days ago ,we tried their pre-fixed menu.It was consist of following dishes- Millishocker Pcc bruschetta Bbq wings Pesto pasta Veggie lover pizza Tandoori chicken pizza Brownie sundae Everything was perfect.Will visit it soon..
Pahmos is the one of the best cafes in Indirapuram. 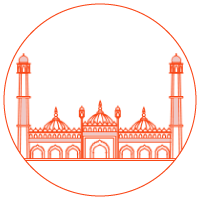 It is located in Habitat center and provides the best ambience to guests. I went to the cafe for a friday brunch and was surprised with their menu range. Serving from dumplings to pastas to continental. They have options for everyone! I ordered Pineapple pinacolda for drinks which was served in a fantastic mason jar. The quantity was very good and taste was just superb. Chicken Tandoori Momos was also very crispy and delectable. Next I ordered Chicken Morsel which was grilled chicken in skewers with mint chutney and salad. The ultimate showstopper was the Brownie Sundae which was totally awesome and colourful. Overall it was a fantastic experience. Would love to go again! Excellent little cafe , pocket friendly ! We recently visited this cafe at indirapuram habitat centre. It's done up really ell a d creatively. Very comfortable seating, courteous staff. The food is beyond excellent in terms of taste, presentation as well as helping size. Reasonably priced. So if you re looking for non Indian food, this is the perfect place for you.